I'd never heard of it until the other day, but their line of plates were featured on GMA (See top photo.) and immediately grabbed my attention. 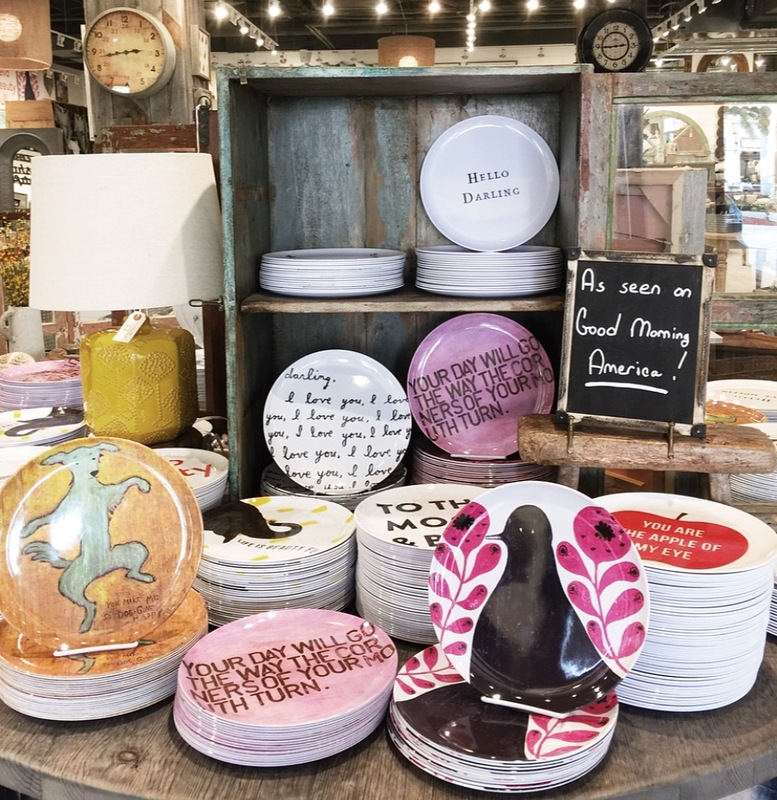 They also have a sweet selection of paper goods - both art to hang on your wall (The plates might be great for that too.) and stationary (like cards, notepads, with quirky, cute sayings, etc. ). A fan of all things cottage, farmhouse or rustic chic (Search any one of those as hashtags over on Insta and you'll see tons of pics that'll make you want to re-do your entire house pronto!)? There's furniture and homegoods like glassware. The kind of stuff that you wish your great aunt or gram had left you because it's all back in style. Browsing with the kiddos in mind? There's everything from onesies and tees with whimsical sayings on them (Sugarboo & Co. are after all self-described "dealers in whimsy", who actually got the company name from nicknames they'd coined for their children.) to vintage-y looking toys and room decor and knick knacks.